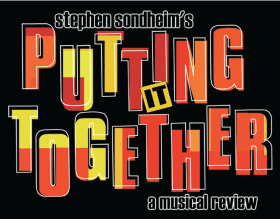 A humorous, poignant and sophisticated musical “review”, Putting It Together is a thematic celebration of the state and screen work of multiple Tony Award-winner Stephen Sondheim, the foremost theatrical composer/lyricist of our time. Featuring a cast of Broadway’s “Who’s Who”, Putting It Together is studded with material from a number of Sondheim’s original musicals and films including A Funny Thing Happened on the Way to the Forum, Company, Follies, A Little Night Music, Sweeney Todd, Merrily We Roll Along, Sunday in the Park with George, Into the Woods, andAssassins. Tickets are $75 for non-subscribers or $60 for subscribers of Delaware Theatre Company or the Delaware Symphony Orchestra.